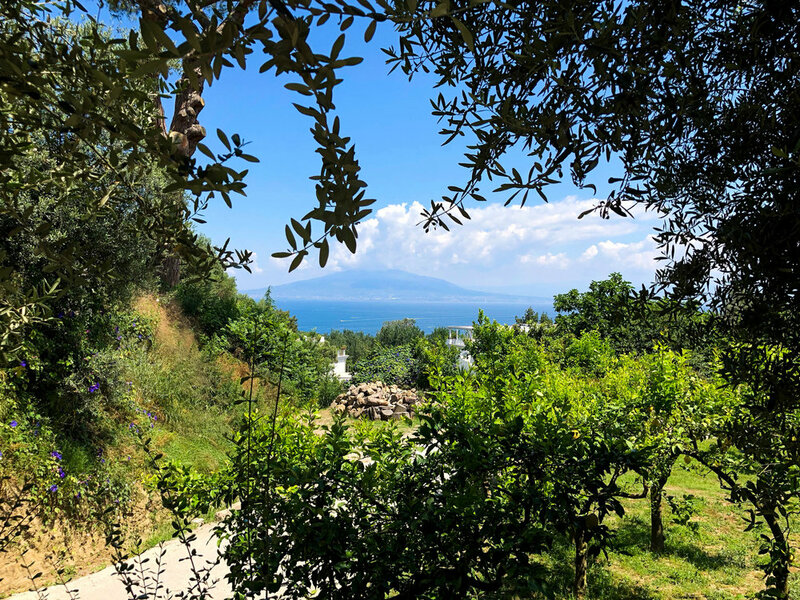 The beautiful view from Casale Antonietta in Sorrento. Beautiful flowers at Casale Antonietta in Sorrento. 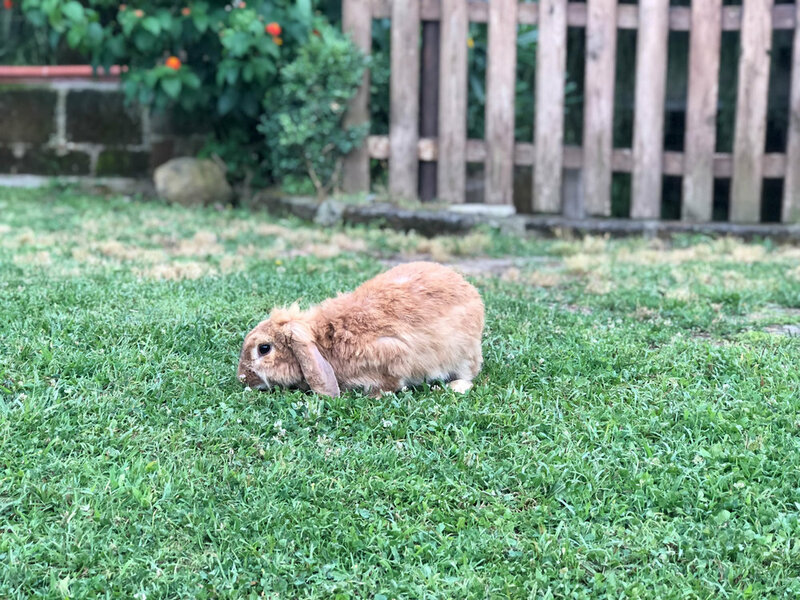 Bunnies in their natural habitat at Casale Antonietta in Sorrento. 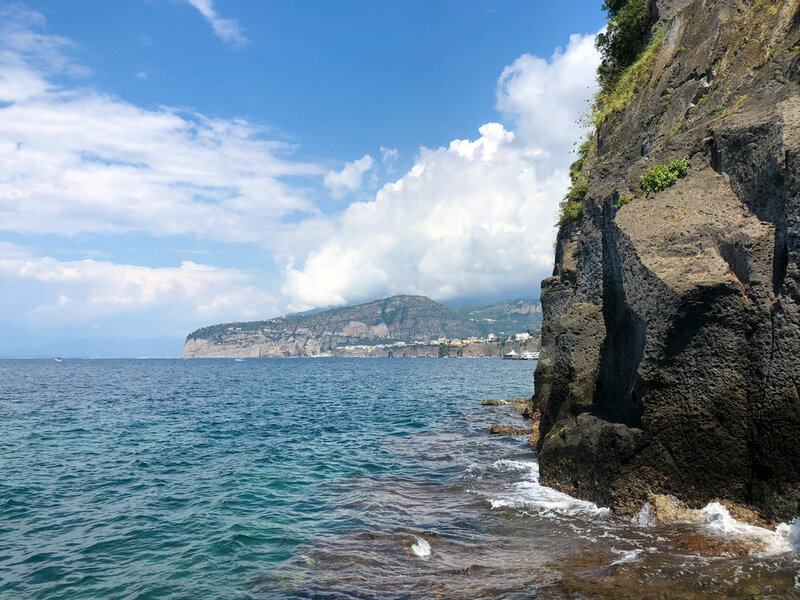 View at Casale Antonietta in Sorrento. We walked down to the Marina from Piazza Tasso. 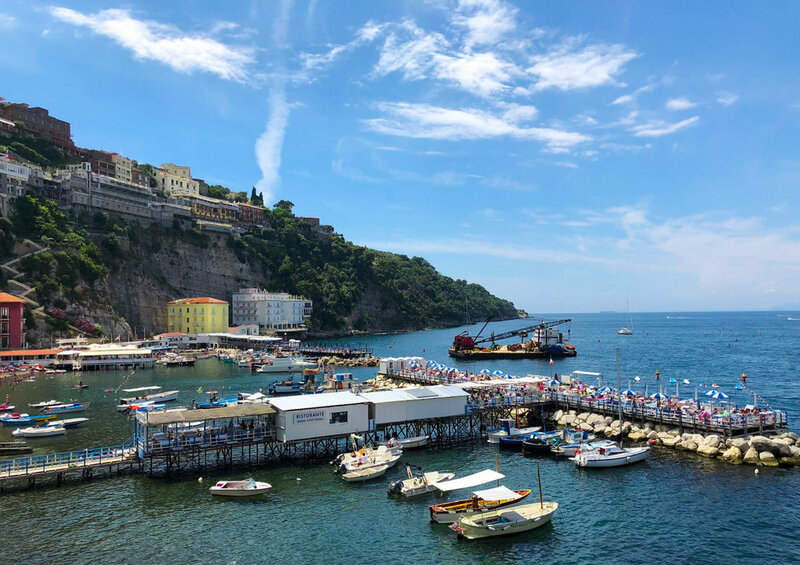 Spending a bit of time on the Amalfi Coast was the perfect way to end our three week trip. We stayed in the BEST B&B up in the hills of Sorrento. Casale Antonietta is a family owned B&B with an incredible view, kind staff, and a wonderful place for nature lovers. I love that this B&B cherishes nature and encourages their guest to as well. 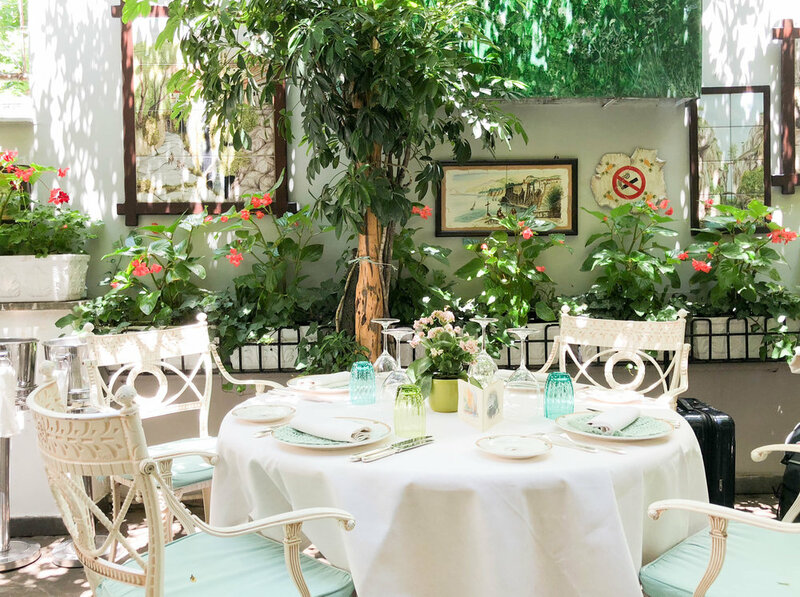 Casale Antonietta has an abundance of lemon trees, tropical flowers, herbs, and other greenery which give this place a wonderful eco-friendly oasis feel. They also have an abundance of animals on site too! SO many bunnies and lizards, natural to the land, running all over the place! So cute to watch! There is a goat on site, a few dogs, and a cat. We had so much fun! It was so peaceful staying here! The view was incredible and relaxing. We loved sitting outside and watching the sunset while the were bunnies chasing each other. The B&B was quiet which was great for unwinding after our long three week trip. I felt very centered and refreshed from our stay at Casale Antonietta. 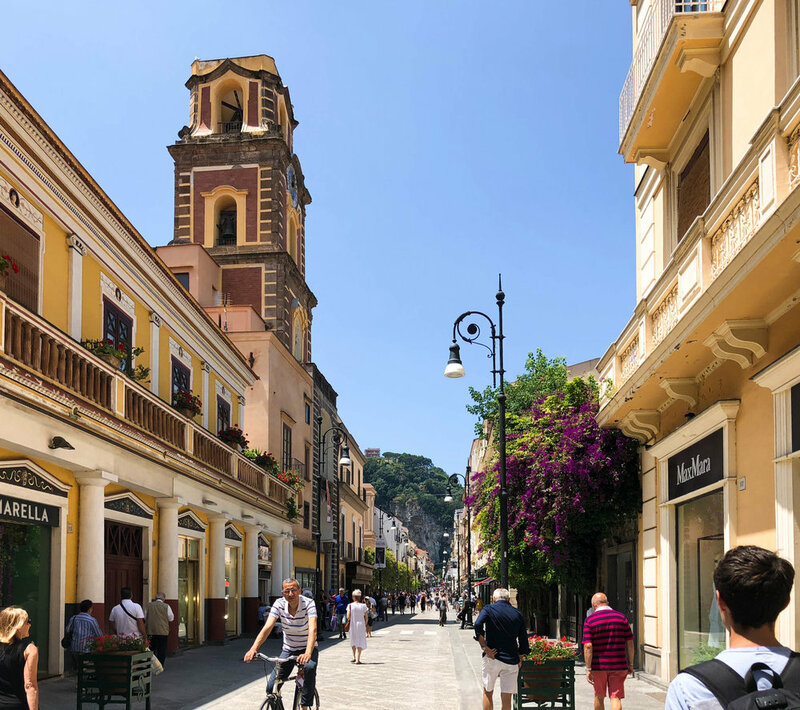 We were only here two days, so we didn’t get to do too much exploring of the Amalfi Coast. The first day we went into Sorrento. We ate lunch at the cutest place L'Antica Trattoria. Fabulous food and wonderful scenery. The patio was romantic, peaceful oasis covered in plants. Then we did a bit of souvenir shopping, ate some gelato, and walked down to the marina! Day two was our last day in Europe and we took it easy just relaxing at Casale Antonietta. The weather was raining on and off so we didn’t want to venture too far. Sorrento was fabulous! Not too many tourists! I would love to go back and take a week to explore the Amalfi Coast sometime!